If Birdemic: Shock and Terror were just a romance film, it would have been forgettable. If it were just a disaster film it would have been forgettable. However the synthesis of the two creates a bafflingly watchable mess. Every single element--with the exception of the surprisingly attractive and charismatic female lead Whitney Moore--is clunky and awkward. It is created by an amateur and at no point is this not completely obvious. Yet despite its badness, Director James Nguyen's motivations were earnest. He had a vision and limited means to bring it to fruition, be it locations, equipment, talent, or adequate understanding of the English language. He did the best he could. Like Ed Wood, he has a strangely naive energy and enthusiasm. I imagine the only reason Birdemic was completed at all is due to the contagiousness of his naiveté. To say that people should feel "sorry" for him is also misguided. Birdemic has done as well as anyone could possibly hope, and numerous people involved will go on to bigger and better things after its exposure. Nguyen has already moved on to his next feature, Peephole: The Perverted. If his objective was to entertain then he succeeded. Whether that entertainment is through ironic or unironic appreciation is beyond his control. David Lynch counsels James Nguyen on how to make a career of people walking out of your movies and going "gosh that was so random!" The New York Times, Slate, Entertainment Weekly, The Guardian, Videogum, and many others have latched onto, or created, this cultural phenomenon. Rather than a slowburning underground sensation like The Room, the Internet has determined to expedite the process with Birdemic. Why report a phenomenon when you can just create one? Nguyen was even on ABC News with the reporter chortling at his naive enthusiasm like a seasoned hipster. I really only know about it because I'm supposed to know. Buy the t-shirt and move on. 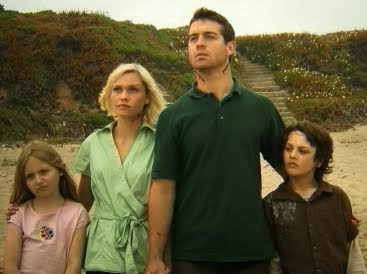 I encourage everyone to see Birdemic: Shock and Terror at least once. 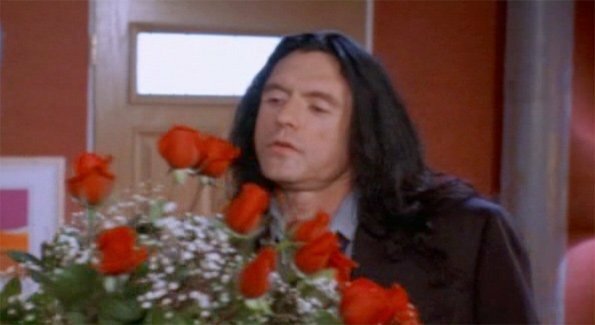 Lacking the re-watchable quotability of Tommy Wiseau's masterpiece, it is nevertheless an entertaining contribution to the B-Movie canon. Having said that, it is hardly the WORST MOVIE OF ALL TIME DUDE, so please slap someone with a linen glove if they ever use such hyperbole. B-Movie blogs with actual audiences like Bloody Disgusting and Videogum gladly use Knowlesian exaggeration and capslock sensationalism to keep this going as long as possible. It is one of the more entertaining bad movies to come out in a while, but it makes me wonder what else is out there. So, what, exactly, would you consider the "worst movie of all time", then? I'm not saying Birdemic is it, just curious as to how you would quantify your statement to others that would say it is. Birdemic is very bad, yes. But I've also seen a lot worse (see: Exterminator City). Ultimately I don't really have a grand scheme to quantify bad movies. Our arbitrary rating system is sort of indicative of that. I like that you refer to your arbitrary rating system as an excuse to not actually review a film. I don't have a #1 worst horror flick. I have a list. And it constantly changes. Seems you're going to the same way. There cannot be only one.